In 2012 Andrew Luck and Robert Griffin made noise in the NFL draft on who would go first. After the Colts stayed with the number one pick and took Luck, the Washington Redskins made a blockbuster trade to move up and take Griffin. This marked the last time two quarterbacks were taken in the first two picks, until now! 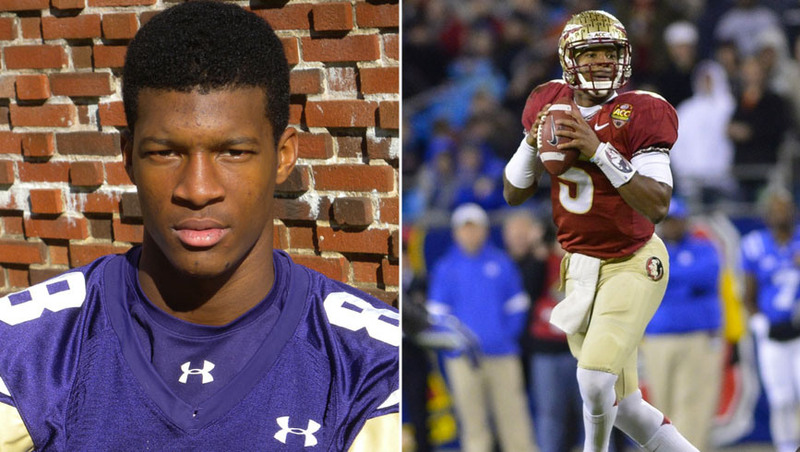 While there was some conversation on who the top picks would be, the a former American Family Insurance ALL-USA First Team member in Jameis Winston got that honor going to the Tampa Bay Buccaneers! Belonging to the Titans, the second pick was Marcus Mariota. While much remains to be seen from these two players, one thing the 2012 draft taught, this could change the course of the franchise for many years to come! While Winston may have taken the attention by being selected first overall, the American Family Insurance ALL-USA alumni weren’t finished! Five more alumni were selected in the first round alone! It’s exciting to see high school stars bloom into top NFL picks and USA Today takes a look at all of the American Family Insurance ALL-USA alumni who were drafted in this 2015 NFL draft! Check out the full list and breakdown here! **Cover photo credit to USA Today.